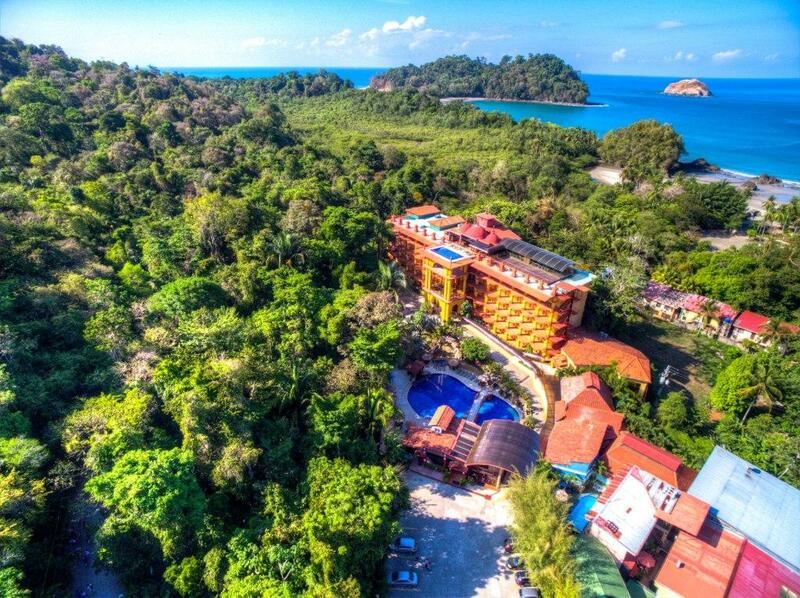 The New Hotel San Bada, is adjacent to Manuel Antonio National Park, 6km from downtown Quepos and its marine port, and 12km from the local airport La Managua. 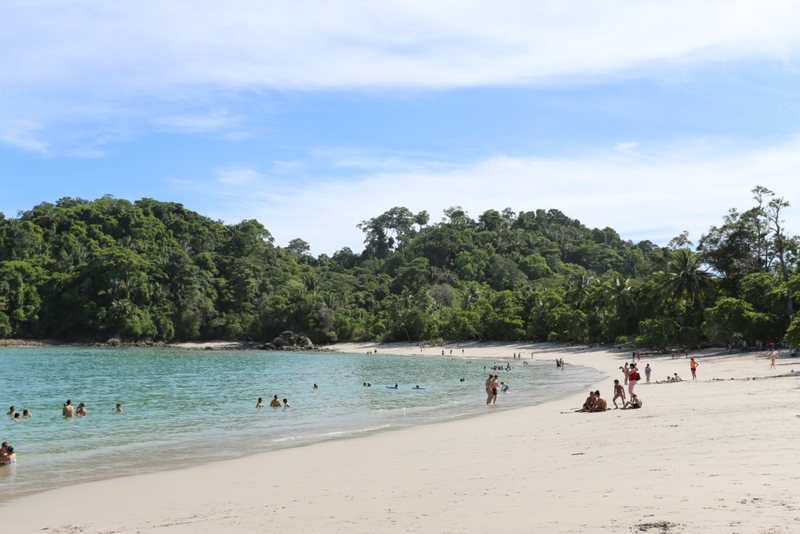 Enjoy one of the best lodging experiences in Costa Rica at the Hotel San Bada, located just a two minutes walk away, from one of the most beautiful and visited beaches of Costa Rica, Manuel Antonio Beach. Each room has a private balcony with garden or ocean view, spacious bathrooms with a bathtub, air conditioning, LCD cable tv, WiFi connection, one king or two full size beds, mini bar, security box, night tables and resting chairs, iron with iron board with prior request, phone, closet, laundry service and concierge service. 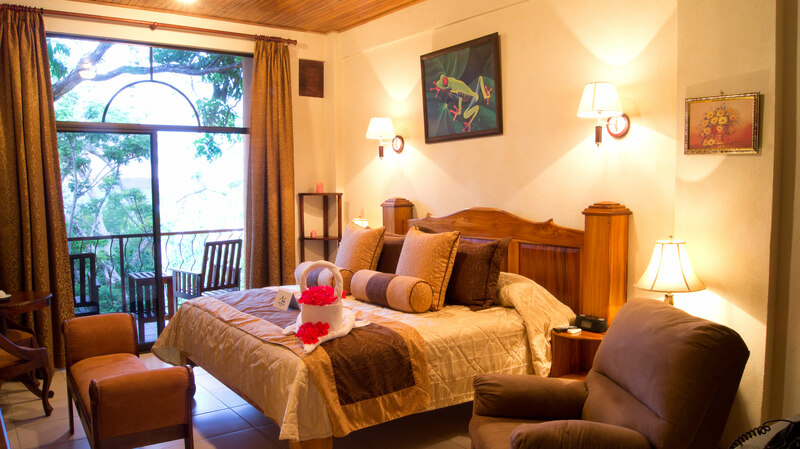 Not all rooms have ocean views, but you can certainly enjoy those with views of the fauna and flora of Manuel Antonio National Park. There are also rooms for the physicall challenged on the first, second and third floors. 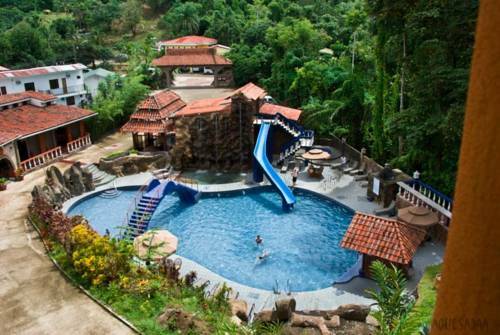 The resort has three different types of pools in different areas with snack bars: The 1,300 sq’ main pool with an amazing water slide perfect for families, Kids pool, and an adults only pool located on the sixth floor with full ocean view.